A baby girl has a stroke in utero. The doctors perform an emergency c-section three months early because her mother’s contractions won’t cease. She was born on November 13, 1992. She was supposed to be born on January 25, 1993. She is only one pound, nine ounces at birth. She has another stroke shortly after birth. The doctors rush to perform tests to see what kind of complications she will have. She struggles to breathe in her isolette, in the Neonatal Intensive Care Unit at Rainbow Babies and Children’s Hospital. Her mother cries and prays for her baby to be okay. 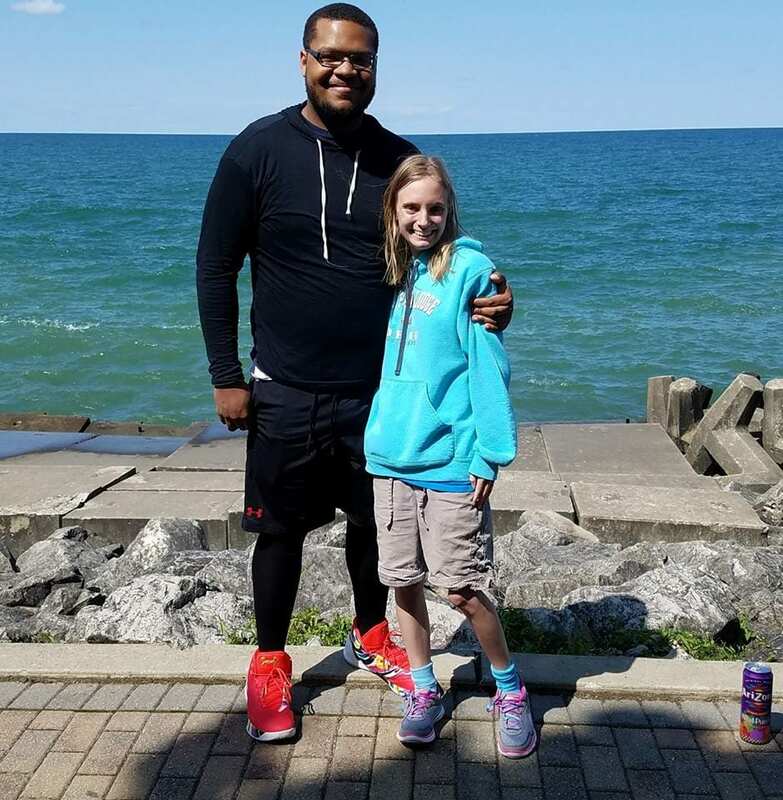 Her parents have her baptized by their pastor, so she can go to Heaven if she doesn’t make it. 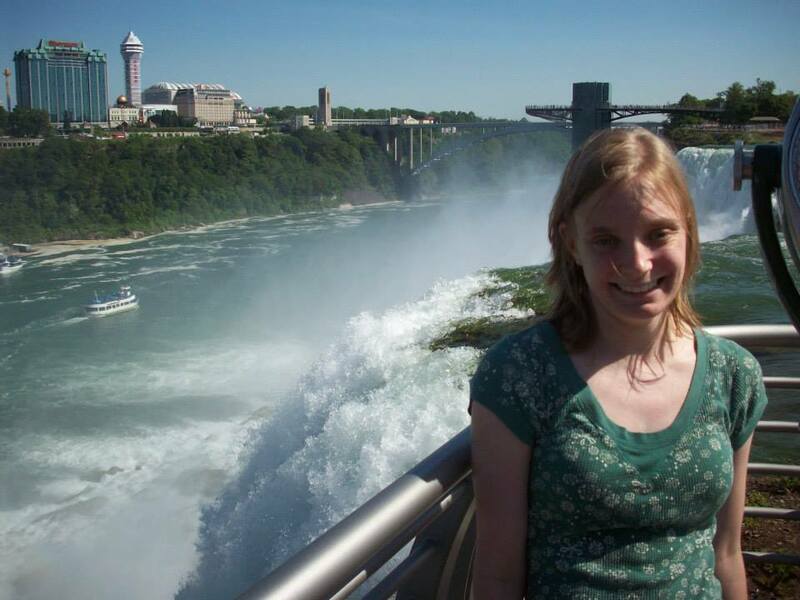 Her parents struggle to hear the news that she isn’t expected to live, and even if she does live, she will always have severe mental and physical handicaps. Her father prays to God begging Him to let his baby girl live. He even makes a deal with God that if his daughter does live, that he would surrender his life to Him. The entire family has 24-hour prayer vigils over the baby’s isolette. Her grandpa is too afraid to come into the room to see her in the isolette because he is afraid of her dying in front of him. That baby was me — Alexis Wohler. The doctors are to this day, stunned at my miraculous recovery and escape from death. They are stunned by the fact that I can walk perfectly straight, without the help of a walker, that I can see out of both eyes, that I can talk normally and even function normally. 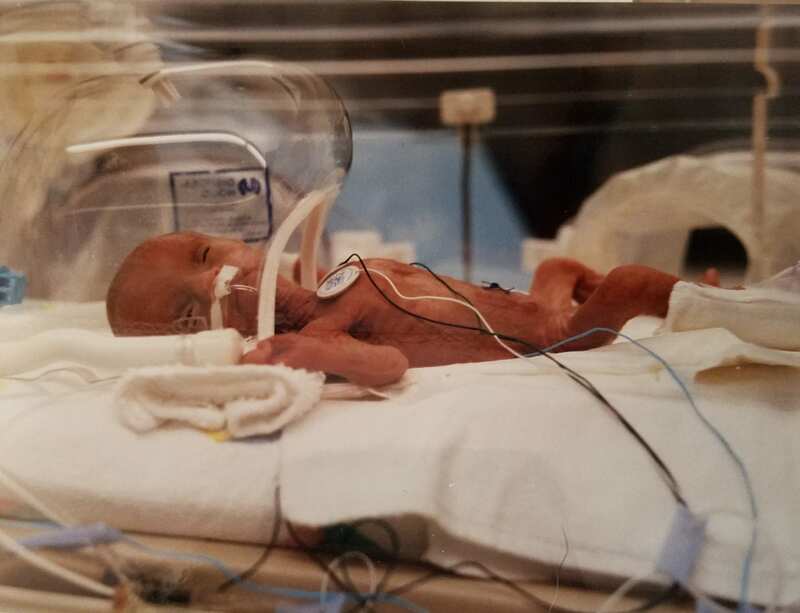 Not many babies born three months premature were expected to survive, but by the grace of God, I was one of them. My mom was put on bed rest for two weeks in the hospital. My dad was in Perry Township working when he got the call that my mom had gone into labor. He was doing 100 mph on the highway and recalls that he made it to University Hospital from Perry Township in 20 minutes. My dad arrived well before my mom had given birth to me. The doctors and my parents knew it’d be dangerous for me outside the womb because my lungs and my brain weren’t fully developed yet. But they also knew I wasn’t going to wait any longer. Doctors warned my parents of the complications that could and probably would ensue once I was born. These included brain bleeds, which are small strokes, jaundice which is yellowing of the skin that has to be treated under high-pressured lights, along with having a feeding tube to help get nutrition in my body. With only weighing one pound nine ounces, my dad could hold me in the palm of his hand. His wedding ring fit around my entire arm, because of how tiny I was. 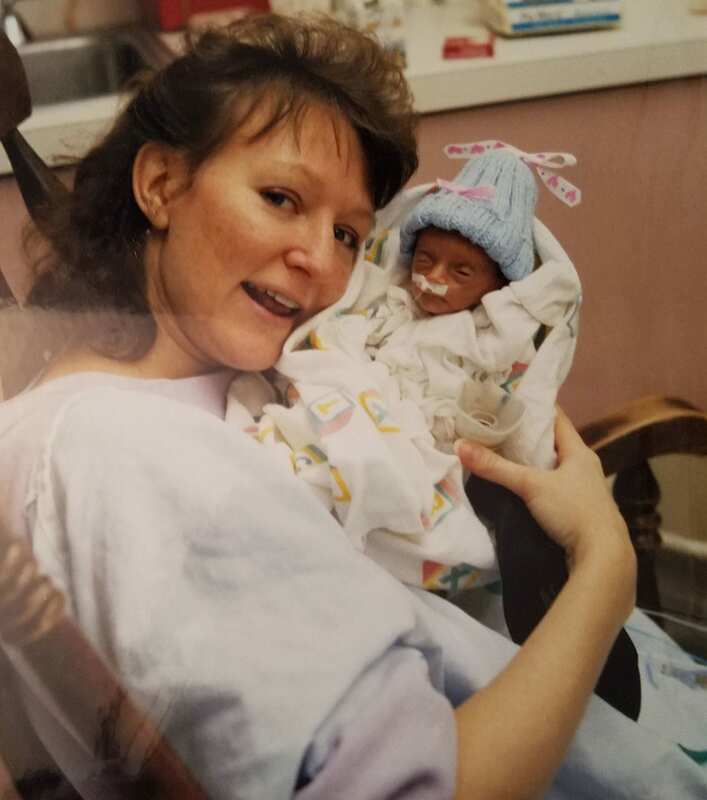 I spent more than two months in the NICU. My parents spent every waking minute with me that they could. On the day I was supposed to be born, January 25, 1993, I was able to go home. It was a tremendous challenge to get me home because of how cold it was. To make matters worse, there was a severe snowstorm. My mom wouldn’t accept the fact that the doctors said I’d be mentally and physically handicapped for life. She started to do everything she could to research the doctors that would give me the best care at UH and even started giving me both physical and occupational therapy by the time I was six months old. Most babies don’t have a problem with sucking their thumb, however, my arms were so weak, I couldn’t even get my fist to my mouth. My mom and my therapist had to work hard with me to get my arms strengthened. To strengthen my legs, I had to have a tens unit which is a bunch of sticky electrodes placed on my skin on my legs in order to get my reflexes to react. My grandma, Anna Wohler, said my mom wouldn’t simply wouldn’t take the news that I would be mentally and physically disabled for the rest of my life. The therapy continued until I was 13 years old. I would go to therapy multiple times a week to keep my mental and physical strength up. The therapy was grueling and exhausting, but it helped me in every way possible. My dad said I wouldn’t be who I am without going to the therapy sessions. My family never expected me to be able to go to college. They thought I was going to be wheelchair-bound. My mom, Janet, thought I wouldn’t have a normal life, but she took me to therapy because she wanted everything to be better for me. “I want you to be successful in your life, and with your hard work and determination, you have gone and will go far,” she told me. My grandma said I gave my grandpa a few extra years of life. 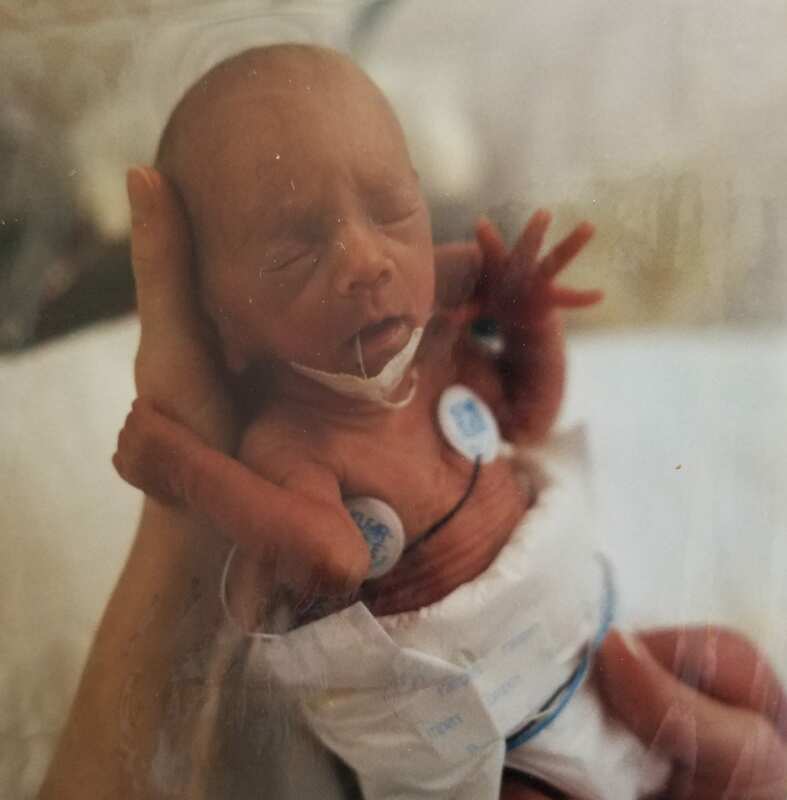 When my boyfriend Mike saw the pictures of me as a preemie and heard how small I was at birth, he teared up and said ‘I could have lost you before I even knew you’. Mike said he admires the never-give-up attitude that I have in my heart. Knowing what I went through, looking back on the countless hours of therapy and seeing how far I’ve come, only strengthens my resolve to work even harder to become a better person of faith and in general. I want to live my legacy with the gifts God has given me. The fact that I graduated from high school, have my Associates Degree, and that I graduated from Kent State University with my Bachelor’s degree in Magazine Journalism, means everything to me. My dream of becoming a professional writer has been on my heart for many years. I want to eventually write my very own book to help inspire others. I’m grateful for the opportunities I’ve had already, to impact others in positive ways. If Alexis’ miraculous birth story inspired you, be sure to SHARE it with your friends on Facebook.